The Roosevelt elk populate the parks along California’s north coast and comprise the largest land mammals in the parks, some weighing up to 1,200 pounds. They are a stable terrestrial land mammal population, a fixture in the parks, but still require ongoing stewardship and management. In a study spanning more than twenty years, Weckerly made key observations and conducted various investigations under a multitude of ecological conditions. Few authors have dedicated this much time and effort into a single research area. It is a testament to perseverance that his groundbreaking study of the Roosevelt elk was so successful. He was able to document the independent dynamics of several herds of female elk, experience the extinction of one of their subpopulations, and record scientific conclusions in the context of resiliency and redundancy of the elk population. This book will be of considerable interest to those who investigate the ecology of big game animals, including naturalists, hunters, and individuals with particular interest in Redwood State and National Parks. 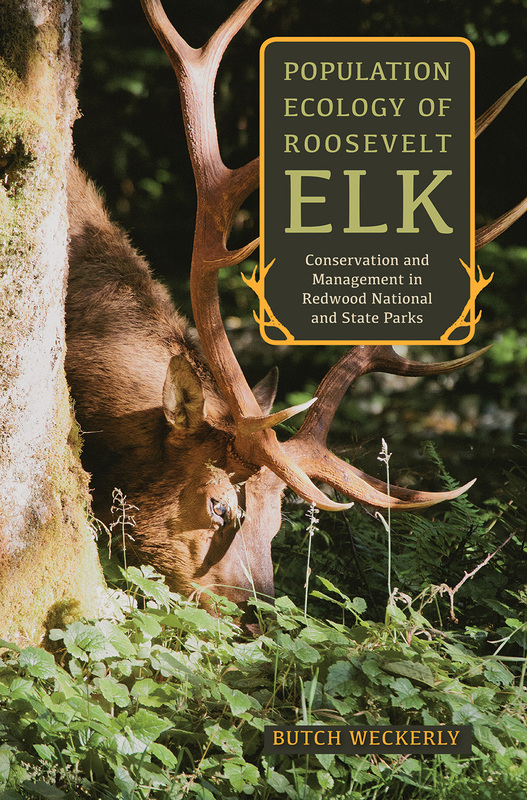 It is an important book that contributes substantially to the persistence and viability of Roosevelt elk in the parks and the surrounding area. Floyd “Butch” Weckerly is professor of biology and director of the M.S. Wildlife Ecology program at Texas State University. He lives in San Marcos, TX.